Non Academic Workers from all Nigerian Universities are set for a Nationwide protest over the ongoing Strike action by the Non-Academics in the Country, OAU Peeps can confirm. 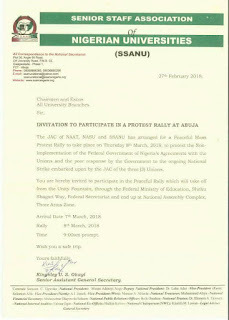 In a document obtained duly signed by the senior Assistant General secretary for Joint Action Congress, Kingly U.S Okayi stated that the " JAC of NAAT, NASU and SSANU has arranged for a peaceful mass Protest Rally to take place on Thursday 8th march 2018, to protest the non-implementation of the federal Government of Nigeria's Agreements with the Unions and poor Response by the government to the ongoing national strike embarked upon by the JAC of the 3 unions ". The venue of the Peaceful Rally slated to takeoff exactly 9:00am at Unity Fountain, through the federal Ministry of Education shehu Shagari way, Federal Secretariat and Ends at National Assembly Complex 3 arms Zone . In a bid to serve you better and reach you more readily, OAU Peeps News Agency has decided to create a WhatsApp Group for all Freshmen of Obafemi Awolowo University. 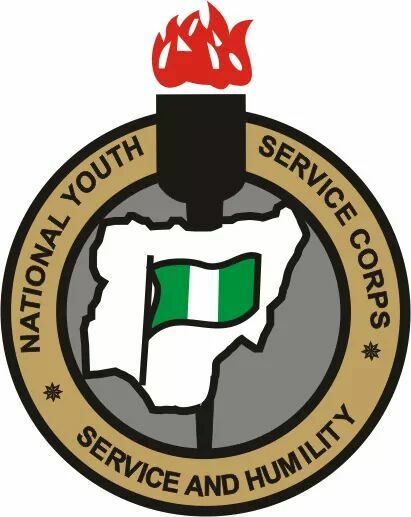 This is to inform all 2018 Batch "A" Prospective Corps Members that online registration will start on 26 March, 2018 as proposed. 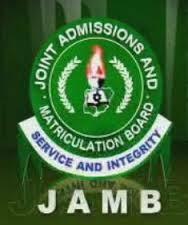 The Mock Unified Tertiary Matriculation Examination (UTME) scheduled for Monday in Obafemi Awolowo University could not hold. The striking lecturers stopped the examination soon after the students started, as power supply was shut down at the ICT centre where it is been conducted. According to reports, efforts by the Vice-Chancellor, Prof. Eyitope Ogunbodede, and the Police Area Commander in Ile-Ife, Mr. Funso Adegboyega, to ensure the situation was rescued proved abortive. Pleas by the duo with the striking workers to restore the electricity so that the candidates could continue with the mock test fell on deaf ears. Since last year December, members of the Senior Staff Academic of Universities, the Non-Academic Staff Union and the National Academic of Educational Technologists have been on a national strike, making academic activities difficult to proceed normally across public universities in the country. 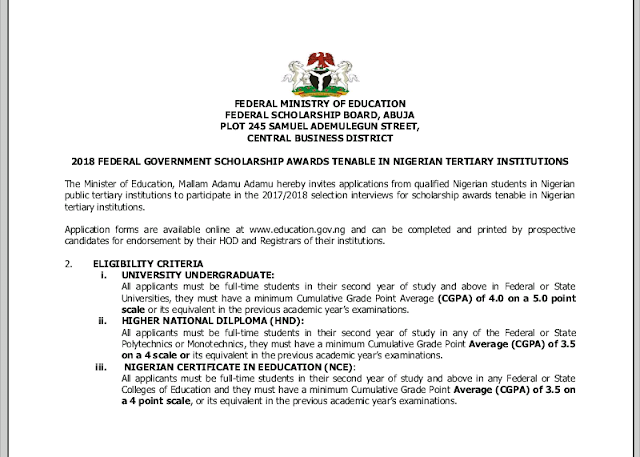 The Minister of Education, Mallam Adamu Adamu hereby invites applications from qualified Nigerian students in Nigerian public tertiary institutions to participate in the 2017/2018 selection interviews for scholarship awards tenable in Nigerian tertiary institutions. Application forms are available online at www.education.gov.ng and can be completed and printed by prospective candidates for endorsement by their HOD and Registrars of their institutions.